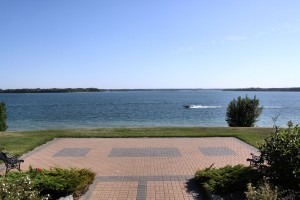 At Gleniffer Lake Resort & Country Club you will find everything you are looking for in a 5 star, family lakeside resort. From the minute you arrive, you and your family will appreciate all the amenities Gleniffer Lake Resort residents enjoy. Its an easy drive, but miles away from everyday life! 218 acres with approx. 5,000 feet of shoreline & sandy beaches, only 1-1/2 hrs from Calgary, 1 hr from Red Deer, and 2 hrs from Edmonton. A challenging 3,300 yard golf course with putting greens. 13,000 sq. ft. clubhouse with restaurant, lounge & fitness room. Heated indoor & outdoor pools, hot tub & tennis courts. General store, laundromat & playgrounds. Boat launch & marina with storage compounds. State-of-the-art water and sewage treatment plants. Resort master planned with all major service trunks in. Large deeded lots (40′ x 80′ avg.) deep serviced for year round use. Large pristine Lake with over 22 miles of shoreline. Golf course serves as lush, green belt between phases. Gated/Security entrances and a Resident Manager onsite. 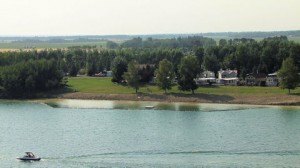 Within a few minutes you can be out on the lake or down at the river and fish for trout, pike, walleye and white fish (and only 10 minutes away is the Dickson Trout Pond, stocked with trout). Phase 7 is the final phase of development. There won’t be more lots when these are gone. Call us for a personal guided tour of the resort property today!